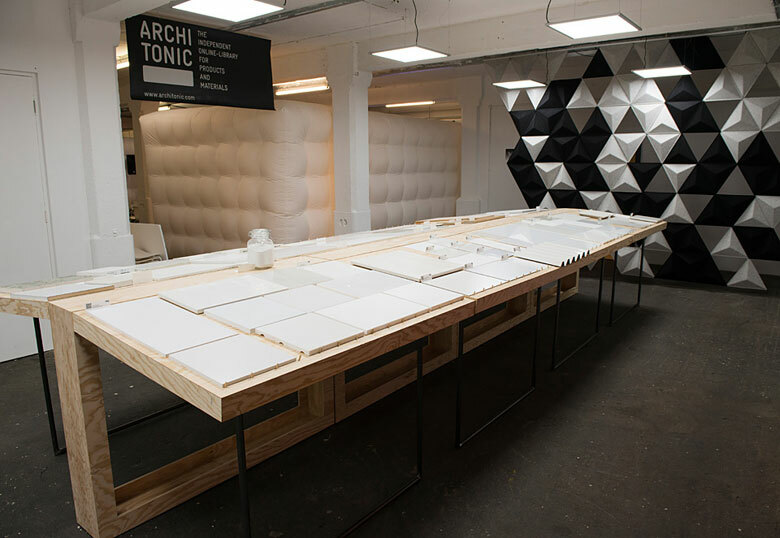 The inaugural exhibition by Materials Council, Whiter than White is an exploration of the pursuit of ‘whiteness’ in the built environment, showcasing a highly-curated selection of architectural materials and finishes. 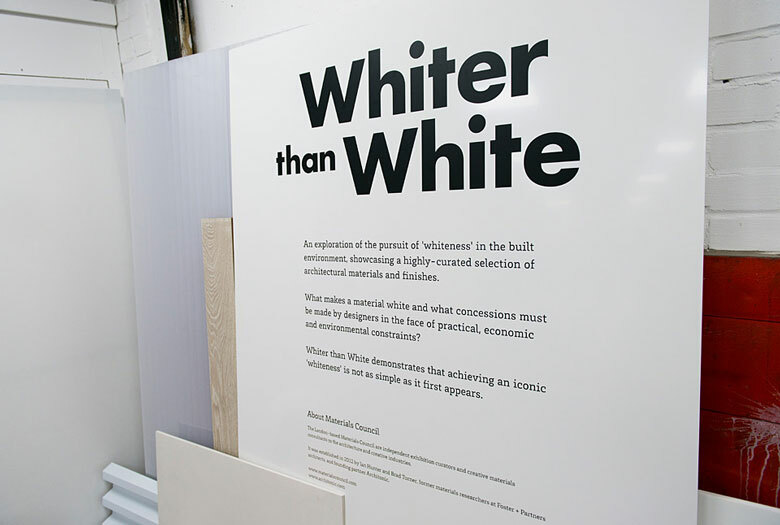 Whiter than White is the response to one of the questions most asked of the curators by architects: “what is the whitest…?” and the realisation that they were often unaware how other issues such as cost and sustainability impacted their freedom to specify the pristine materials they desire. Small and large-scale samples across a range of architectural materials – glass, metal, natural stone, man-made stone, concrete, timber, textiles, coatings, plastics and composites – demonstrate the options available to an architect when selecting the materials that shape our surroundings and how these choices influence our experience of the built environment. What makes a material white and what concessions must be made by designers in the face of practical, economic and environmental constraints? The exhibition demonstrates that achieving an iconic ‘whiteness’ is not as simple as it first appears. 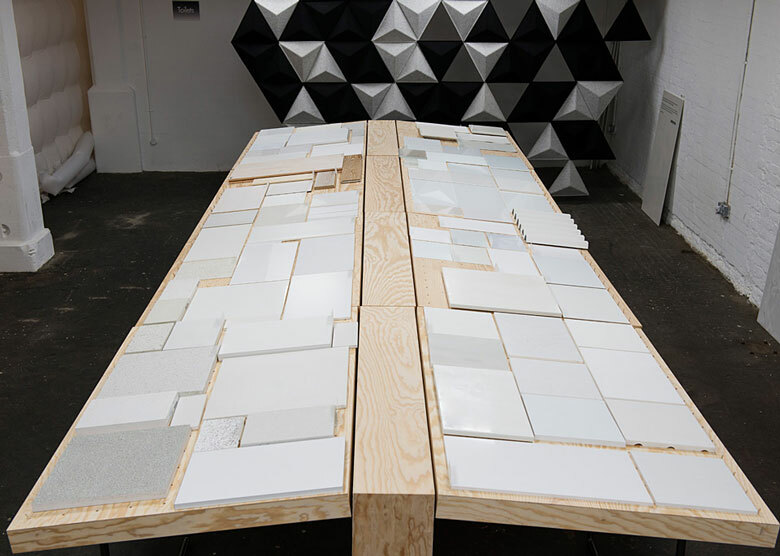 A world premiere, Whiter than White is a showcase of the collaborative expertise of Materials Council and Architonic. 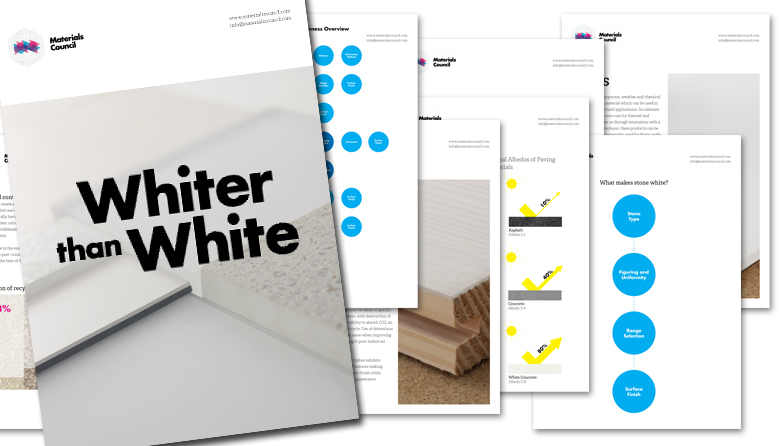 The illustrated report looks at the practical design implications that must be taken into account when specifying white materials, and the origin, composition and processing these materials must go through to make a final usable product. 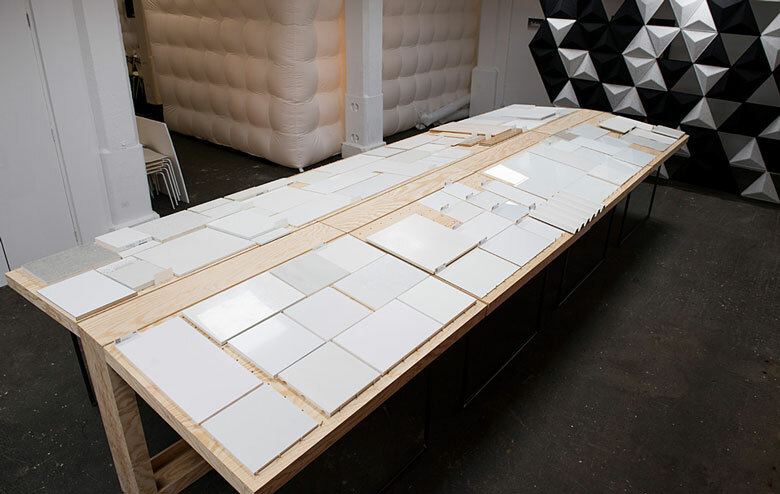 By examining each stage of a material’s production we can understand how the choices we make and the design constraints placed upon us influence the appearance, cost and performance of a material. Understanding these influences allows us to make better and more informed material comparisons and choices. 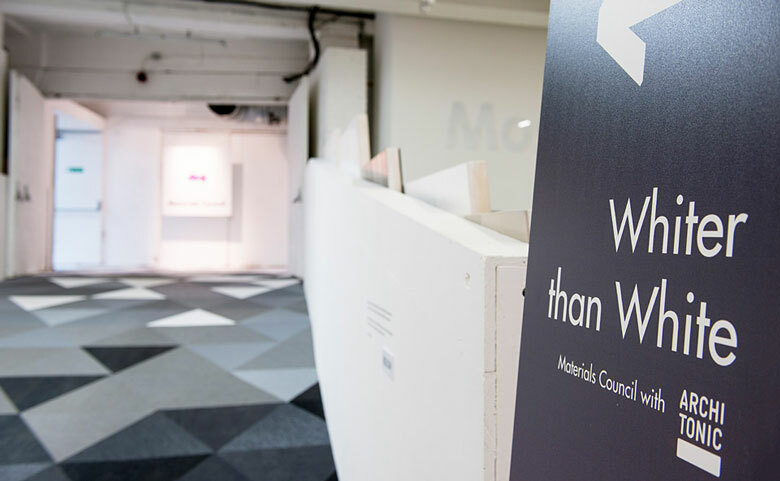 Integral to the Whiter than White exhibition are Materials Council’s collaborations with leading European design and architecture companies to create exciting installations and a professionally controlled environment to best showcase the centrepiece materials. 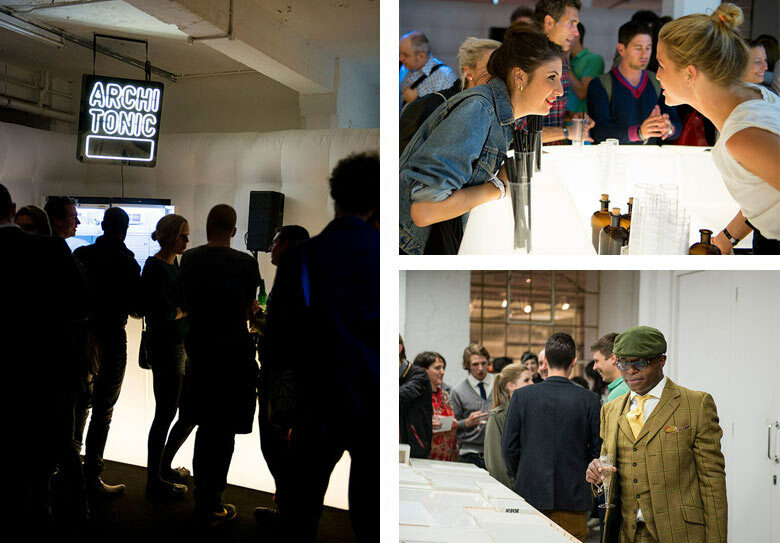 Essential to the experience of the exhibition is to establish a professionally illuminated and colour-controlled space in which to view the exhibition materials. To ensure this Materials Council approached German architectural lighting specialists Richter Lighting Technologies who calculated, planned and designed a bespoke professional lighting scheme for the exhibition space – a first for an exhibition of this duration and size. 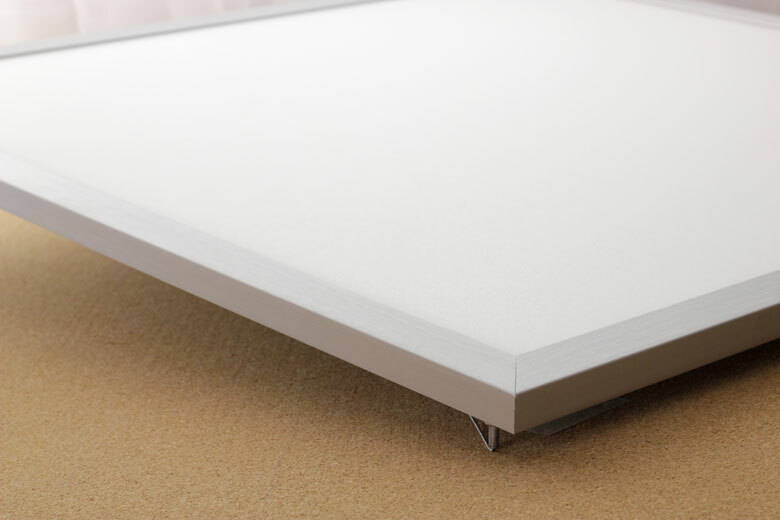 Richter installed a series of their ‘Slimpanel’ LED units, a revolutionary development in LED flat light technology. Using the most advanced LEDs available, the Slimpanels wash the exhibition space with the highest quality naturally-appearing light calculated to evenly and accurately illuminate each surface and material sample. German bespoke furniture manufacturer Performa manufactured a series of display and transportation units especially for Whiter than White. 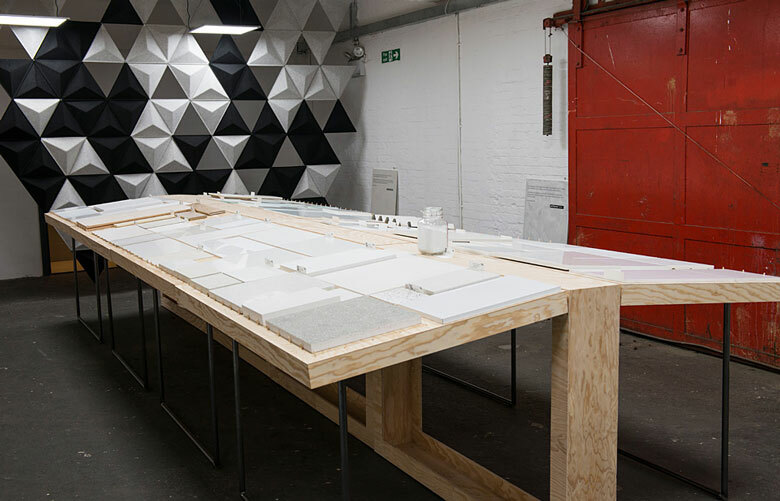 The flexible units, custom designed in collaboration with Materials Council, feature a reconfigurable surface and can also be transformed to store and transport the exhibition samples. Materials Council also collaborated with creative Swedish flooring manufacturer Bolon, leader in woven vinyl flooring, to design a unique entrance installation. 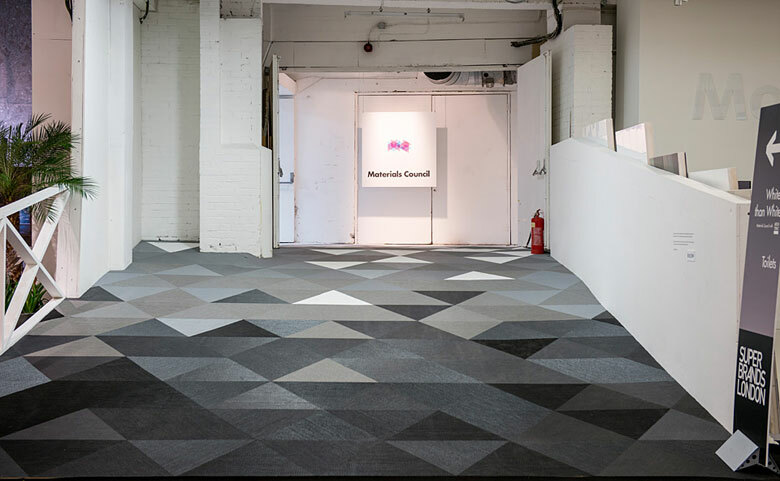 Based on the geometric forms of the Materials Council logo, the faceted flooring installation using a range of tones from Bolon’s BKB collection provided the backdrop launching the Materials Council brand and invite the audience into the Whiter than White exhibition. Design company Abstracta of Sweden was invited to create a 3D partition installation continuing the triangle and hexagonal motifs derived from the Materials Council logo and introduced by the Bolon entrance installation. 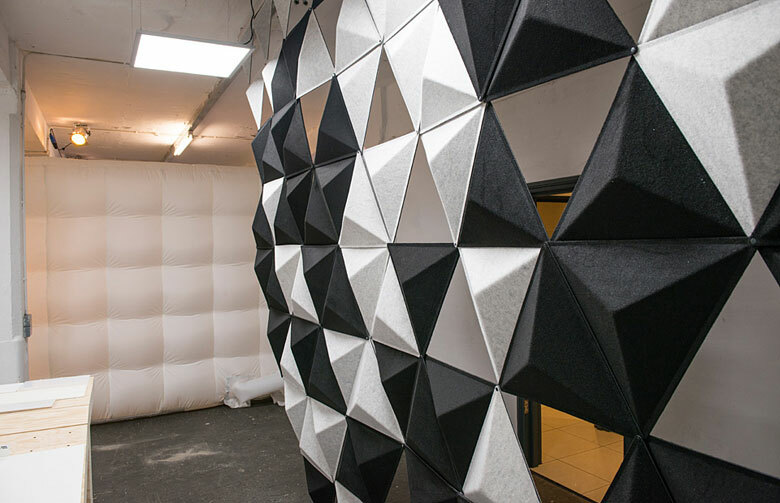 Utilising the modular ‘Aircone’ acoustic partition system, a series of compression-moulded fabric forms, a decorative and functional screen was created, defining the exhibition space and reducing unwanted external noise. Abstracta’s sister company Lammhults Mobel was also chosen to provide reception furniture for the exhibition space using their newly launched Archal line of chairs and tables.